Nearly all the attention for reader-tablet hybrids goes to Amazon and Barnes & Noble, but today the Toronto-based Kobo is making a compelling case for their share of the market. The company announced three new tablets: the Arc 7, Arc 7HD, and Arc 10HD, set for release on October 16th. The three models are roughly analogous to the latest Kindle Fire, Fire HD, and Fire HD 8.9, but they've got two distinct advantages: they run Android 4.2.2, and they've got access to the Google Play Store. 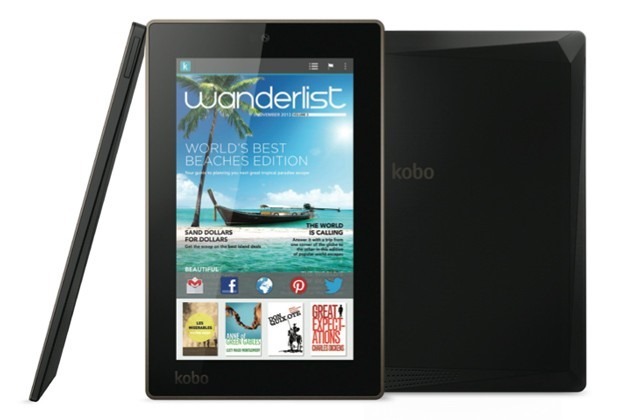 The Kobo Arc 7 (above) is the baby of the family, but it isn't a bad piece of hardware for the price. With a 7-inch, 1024x600 screen, a MTK 1.2Ghz quad-core processor, 1GB of RAM, and 8GB of storage, it's pretty competitive for the $149.99 MSRP. The Arc 7HD (below) steps things up a notch with a 1920x1200 screen that matches the new Nexus 7 pixel for pixel, a Tegra 3 processor, and 1GB of RAM. It also adds a 1.3MP front-facing camera and 8 hours of quoted battery life. The Arc 7HD will go for $199.99 with 8GB of storage or $249.99 with 16GB. 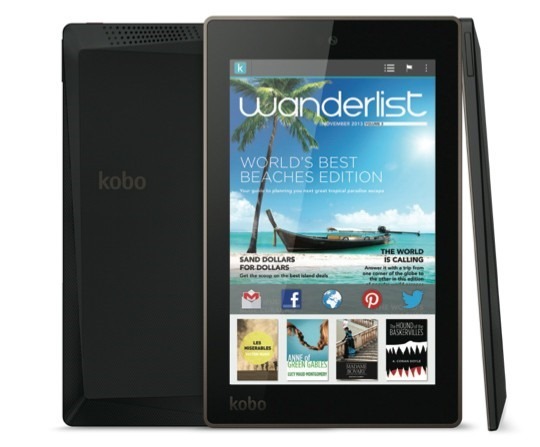 ON the high end of Kobo's new spectrum lies the Arc 10HD. This tablet competes with the biggest and baddest Android hardware currently available. The screen is 10 inches and 2560x1600, the processor is an NVIDIA Tegra 4 paired to 2GB of RAM, and it uses a 1.3MP front-facing camera, Bluetooth 4.0, and Miracast video streaming. Though the hardware is impressive, at $399.99 the Arc 10HD is still a tough sell next to the Nexus 10, unless you're already invested in Kobo's book and media offerings. All three new tablets use a black design that looks like it's inspired by the old F-117 Nighthawk bomber: all angles and geometry. It's a neat look that's certainly more interesting than the older Arc and Vox tablets, though potentially more divisive. The company is highlighting its Beyond the Book feature, which scans books for topics and aggregates web content that fits within that scope. Featured Collections will use content that's hand-picked by Kobo editors. Kobo is also launching new sections of its content store for magazines and children's books, which will be available on the standard Android and iOS apps as well. Kobo is unlikely to make significant headway against Amazon or B&N in the near future, but it's clear that they intend to stay in this fight for the long haul. It will be interesting to see how the continuing expansion of the Play Store affects the low end of the tablet market.